Dr. Abraham began to explore where adult stem cells come from, how they could be regulated and released into circulation, and the effect of bone marrow microenvironment on stem cell development, as well as differentiation to CD34+ low Kit- from 1988 to 1991. Then, he studied the capacity of stem cells to self-renew in culture in animal models. Additionally, in 1989, Dr. Abraham focused his research on gene transfer and established an ideal condition for retrovirus transfer of the adenosine deaminase (ADA) gene. 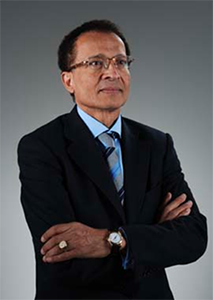 He published his findings in Stem Cell in 1993, showing that successful retrovirus gene transfer in hematopoietic stems cells within peripheral blood or cord blood can be efficient when adherent cell layers are used.Since June 2009 , Prof. Nader Abraham is Professor & Chairman of Physiology and Pharmacology at the Toledo University College of Medicine (Ohio, US) and Adjunct Professor of Pharmacology/Medicine, New York Medical College (New York, US) after more than 13 years as Professor of Pharmacology and Director of Stem Cells & Gene Therapy, New York Medical College (New York, US). 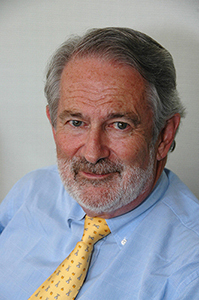 His long standing research contributions are focused on vascular dysfunction which are a prelude to cardiovascular diseases including hypertension, stroke and myocardial infarct and the use of cell therapy for disease prevention.As of 2012 to present, Dr. Abraham is investigating how stem cells can be used for treatment of diabetes, obesity and cardiovascular disease. Dr. Abraham’s studies reveal new insights into why stem cells became more limited in their tissue options during development of diabetes and CVD. Since November 2012, Dr. Abraham accepted the position as Vice Dean of Research and Professor of Internal Medicine, Marshall University Joan Edwards School of Medicine Huntington, West Virginia. His new function as Vice Dean of the Medical School is to establish relationships with various clinicians regarding new translational research, which bridges basic science research with clinical care, including stem cell therapy for human disease.